Is there a limit on minimum app price? I ask as I never saw any app less than .99 in any app store (apart from free apps). Can an app be like .49 for example in Google or Amazon app store? Yes, for non-free apps there is a minimum price for each supported currency. As I noticed this morning when adjusting the price of one of my apps, these minimum prices are not exactly equivalent across currencies (and even if they were, they would drift over time due to exchange rate fluctuations). For example, I set the new price of my app at $0.99 for the US and the roughly equivalent price of £0.59 for the UK. However, I could not set such low prices for Scandinavian countries or Japan because the minimums were higher (the Japanese minimum is 99 yen, which is roughly £0.71 / US$1.16 at today's rates). Here is the full list of minimum and maximum prices per country. 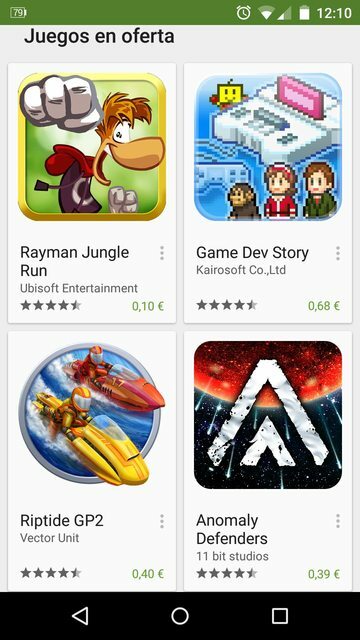 At current rates it seems that the cheapest possible non-free app would cost €0.50 (approximately US$0.72). Kidding aside, for non-free apps, there is a minimum limit for paid apps on the Android Market, and that minimum is based on the currency and location where the app is offered. For instance, a paid app offered in Denmark must currently be listed for no less than 6 krone. These minimums may adjust over time to reflect fluctuations in currency value. The Android Market is not the only source for paid apps, however, and each app vendor may utilize unique policies for app pricing. In general, however, you will find that each vendor has some minimum limit set that will cover the costs of transaction fees. In the Android market, the minimum price is $0.99. If I try to set my app any lower, it says I must set it to at least $0.99. Not the answer you're looking for? Browse other questions tagged applications google-play-store or ask your own question. Is there a way to sort apps in Google's app store by size? Changing Google Play country: Are there any side-effects? Does using various app stores in parallel cause any issues?